SIwave technology is available in three product packages to meet specific simulation needs. The SIwave-DC product targets DC analysis of low-voltage, high-current PCBs and IC packages, enabling assessment of critical end-to-end voltage margins to ensure reliable power delivery. It allows you to perform pre- and post-layout "what-if" analyses for DC voltage drop, DC currents and DC power loss. This process ensures that power distribution networks (PDNs) can source the proper power to integrated circuits — checking that the PDN has the proper bump, ball and pin sizes, and proper copper weighting to minimize losses. The technology identifies areas of excess current, which can result in thermal hot spots, to reduce risk of field failure. You can quickly analyze path resistance (also known as partial resistance) between components on a PCB or package to understand the PDN differences before choosing the best PDN topologies for sourcing power. The SIwave-PI product includes SIwave-DC and adds AC analysis to accurately model power delivery networks and noise propagation on PCBs. SIwave-PI is ideal for analyzing power integrity distribution challenges, and automatically optimizing decoupling capacitor selection and placement — all while performing accurate voltage drop and power loss analyses. SIwave combines SIwave-DC and SIwave-PI functionality with the robust ANSYS Nexxim time-domain circuit simulation engine. It enables fast impedance and crosstalk scanning with visual, color-coded feedback and HTML reports. SIwave employs specialized full-wave finite element algorithms to compute resonances, reflections, intertrace coupling, simultaneous switching noise, power/ground bounce, DC voltage/current distributions, and near- and far-field radiation patterns on high-speed PCBs and complex IC packages. With SIwave, you can easily import ECAD geometry; extract GHz-accurate interconnect models for IC, package and PCB; include transistor-level models of drivers and receivers; and run SSO analysis, impedance matching and power delivery system optimization. This solution includes common IBIS analyses, such as power-aware IBIS and IBIS-AMI, to provide virtual compliance to design engineers. SIwave seamlessly integrates into existing EDA design flows by importing ECAD geometry, materials and components directly from third-party EDA layout tools directly or using the ODB++ standard. Vendors supported: Cadence Design Systems, Mentor Graphics, Zuken and Altium. SIwave links to the ANSYS software portfolio for multiphysics simulation of electronic components. One option is to export a power distribution map from SIwave into ANSYS Icepak. This multiphysics solution enables accurate thermal modeling of IC packages and PCBs using DC power loss from SIwave as a heat source. Icepak solves the challenges associated with dissipation of thermal energy from electronic components that may cause premature component failure due to overheating. You can then evaluate thermal stress with ANSYS Mechanical. This multiphysics approach enables you to perform coupled EM–thermal–stress analysis for a complete understanding of the design prior to manufacturing. SIwave Desktop – The SIwave desktop enables a streamlined ECAD design flow for 3-D electromagnetics, 2.5-D electromagnetics, 3-D thermal and circuit solvers. 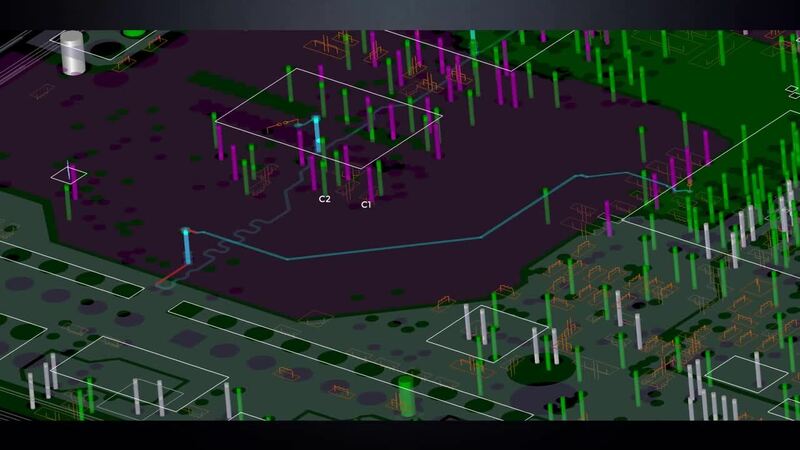 From the environment, you can invoke the precise solver technology for the analysis at hand. HFSS – The HFSS 3-D FEM solver can be instantiated from the SIwave desktop when extracting S-parameter or SPICE models from IC packages and PCBs. PSI – The PSI 3-D Fast FEM solver can be instantiated from the SIwave desktop when extracting PDN S-parameter or SPICE models from IC packages and PCBs. In addition, 3-D AC currents can be visualized from within SIwave desktop, showing signal, power and return currents. CPA – The CPA (chip package analysis) solver can be instantiated from the SIwave desktop when extracting RLC or S-parameter netlists for large chip-package designs. IC designers can leverage the CPA solver within RedHawk for co-visualization of chip and package designs. Q3D Extractor – The Q3D solver can be instantiated from the SIwave desktop when performing RLC parasitic extractions on IC packages and PCBs. Icepak – The Icepak solver can be instantiated from the SIwave desktop when thermal analysis of an IC package or PCB is required. An automated, iterative convergence solution between SIwave-DC and Icepak provides bi-directional electronics cooling solutions for IC packages and PCBs. Nexxim – The Nexxim circuit solver can be instantiated from the SIwave desktop when time domain SPICE analysis is required for timing analysis. HSPICE – The HSPICE circuit solver can be instantiated from the SIwave desktop when time domain SPICE analysis is required for timing analysis. 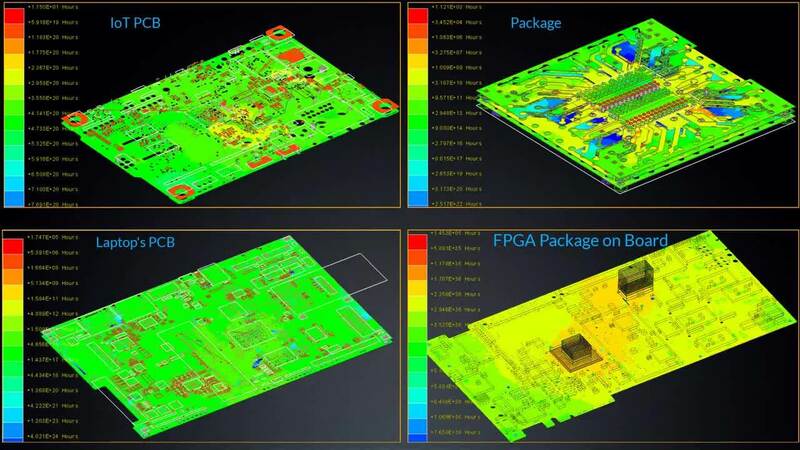 Adding an ANSYS Electronics HPC license to SIwave opens a world of bigger, faster and higher-fidelity simulations. ANSYS goes well beyond simple hardware acceleration to deliver groundbreaking numerical solvers and HPC methodologies optimized for single multicore machines and scalable to take advantage of full cluster power. The majority of electromagnetic simulations require results such as near field, far field and s-parameter data over a range of frequencies. Spectral decomposition distributes the multiple frequency solution in parallel over compute cores to accelerate frequency sweeps. You can use this method in tandem with multithreading. Multithreading speeds up extraction of each frequency point, while spectral decomposition performs many frequency points in parallel. The spectral decomposition method is scalable to large numbers of cores, offering significant computational acceleration. SIwave includes circuit solutions for both parallel and SerDes busses. This includes simulation with the IBIS and IBIS-AMI driver/receiver models using the ANSYS Nexxim or HSPICE circuit solver engine. Full schematic capture and parametric design for design of experiments (DoE) is included. SIwave enables you to determine if your DDR3/4 busses pass or fail the Jedec standard. This solution provides pass/fail criteria for key timing metrics, such as data setup and hold timings, derated analyses, bit-to-bit skew timing, overshoot, undershoot, etc. The programming environment enables customization of compliance reporting for almost any standard: DDR, USB, PCIe, MIPI, CISPR EMC, etc. When working in deep submicron technologies, you have the task of reducing design costs to meet tight schedules on-budget. Optimization of today's high-volume PCBs and packages is mostly based on different capacitor models, capacitor prices and numbers of capacitors, and it must be achieved without compromising the design's signal- and power-integrity performance. SIwave-PI can find the optimized set of decoupling capacitor assignments that satisfy the impedance mask you specify at the minimum cost. The Zo and crosstalk scanner provides accurate field-solver characteristic impedances and coupling coefficients for traces within PCBs and packages. Easy-to-understand HTML reports and visualizations make this a must have sign-off capability for all design engineers. This new capability in ANSYS SIwave allows you to predict mean time-to-failure for on-chip and advanced electronic packaging structures. Electromigration — migration of metal atoms in a conductor due to an electrical current — is typically not a problem in most electronics systems. However, in high-speed electronics, the increased performance and smaller form factors lead to increased current densities across very thin traces causing electromigration. This phenomenon is a major threat to the reliability of high-speed electronic products. ANSYS SIwave can now predict electromigration and mean time-to-failure of a design. This capability provides automatic and customizable EMI design rule check of PCBs. EMI Scanner can quickly identify areas of potential interference on your PCB design prior to simulation. EMI issues traditionally have been difficult to simulate and require hours of computational time. This new feature included within ANSYS SIwave and ANSYS HFSS quickly identifies potential trouble spots that require further investigation. It eliminates errors and speeds time to market.